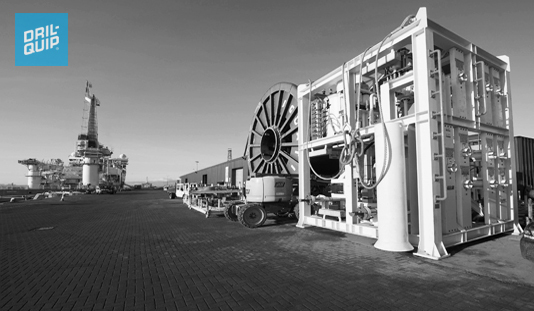 Dril-Quip offers a complete line of field-proven, innovative drilling and production products, enabling the Company to provide comprehensive field development solutions. The full line of products is complemented by the ability to produce essentially all of the required components at any one of the Company’s major global manufacturing facilities. 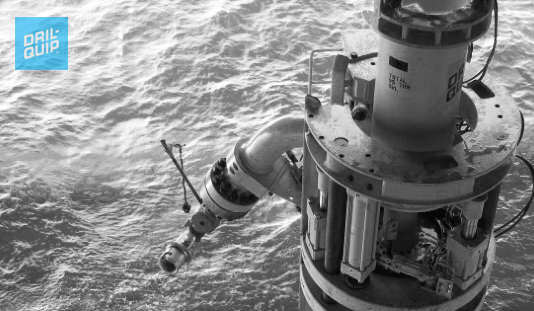 Experienced technical and management staff provide the Company with the ability to engineer, manufacture, manage and install complete systems for major offshore field developments. 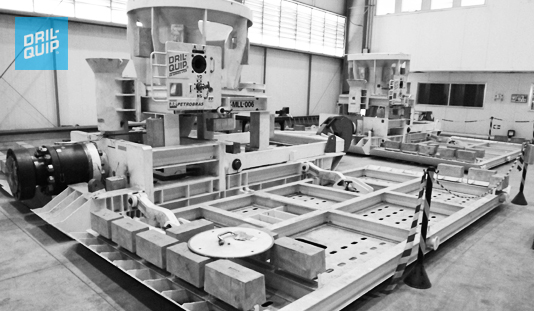 Dril-Quip’s Horizontal Production System is a unique subsea tree which provides drill-through services and tubing hanger installation in the tree. The horizontal tree design allows downhole intervention services without retrieving the tree. The Company’s horizontal tree is available in pressure ratings of up to 10,000 psi and water depths of 10,000 feet. Dril-Quip’s ConcentricBore™ Production System is a time-saving, economical alternative to traditional completion system design. 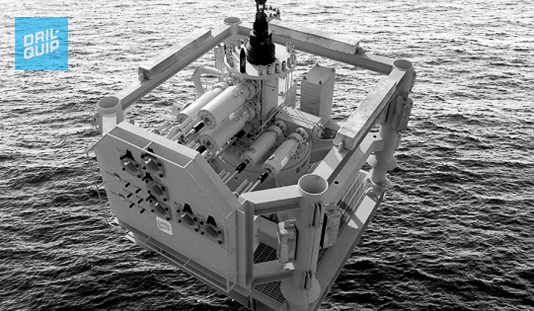 The ConcentricBore™ Subsea Tree and tubing hanger design combines all of the serviceable features of a dual bore production system with the economic advantage of a simpler tubing hanger and tree design. Dril-Quip’s SingleBore™ Production System is a field-proven, time-saving and cost-effective alternative to a traditional dual bore completion system design. 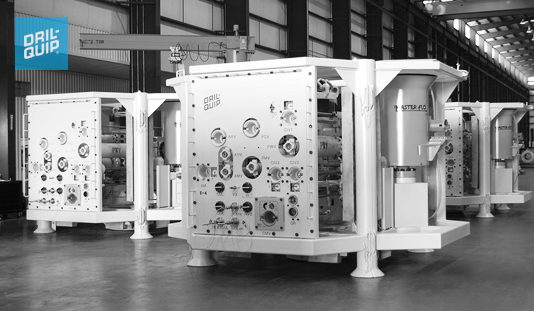 The SingleBore™ Production System allows hydraulic control of the annulus access valve in the tubing hanger through a dedicated control line in the umbilical. This feature eliminates the need for running and retrieving the wireline plug and the need for a DualBore™ Completion Riser. The SingleBore Tree and tree cap running and retrieving tool can incorporate a shearing gate valve, providing EDP and LRP wireline services. Dril-Quip’s field-proven DualBore™ Production System is designed to provide direct overhead access (via completion riser) to the production and annulus bores of a producing well. This access allows the setting of wireline plugs in the tubing hanger to secure the well prior to removing the BOP stack. This system is available in pressure ratings of up to 15,000 psi. 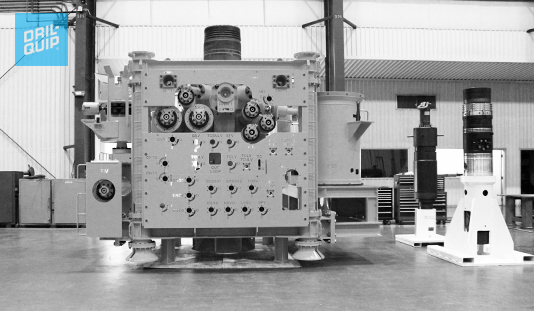 The DualBore™ system can be implemented as a package which includes a completion riser, surface test tree, Emergency Disconnect Package (EDP), Lower Riser Package (LRP) and Installation and Workover Control System (IWOC). Dril-Quip’s manifolds are engineered to offer solutions for the flow-control challenges present in today’s subsea production environments. Dril-Quip’s manifold designs are engineered to optimize flow paths and minimize leak paths thereby increasing field production, reliability and performance. Dril-Quip’s manifolds are designed to operate for life of the field, in water depths of up to 10,000 feet, and with working pressures and temperatures appropriate for the application. Dril-Quip offers a variety of field-proven, reliable and cost-effective horizontal and vertical flowline connection systems. 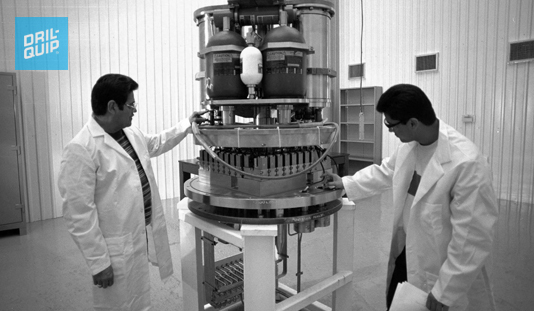 This includes integral or non-integral, hydraulic or mechanical styles. 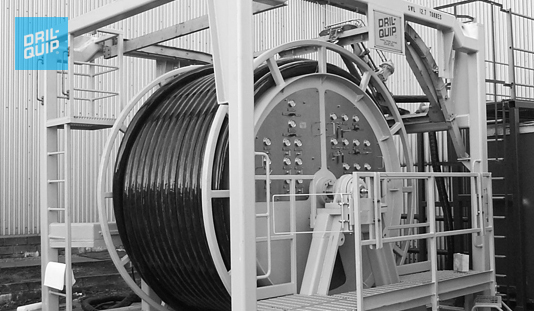 Dril-Quip’s Flowline Connection Systems are engineered to meet or exceed all industry standards and project specifications. All connectors can be designed to be “piggable.” They also have secondary mechanical un-lock provisions and mate with flexible or rigid pipe connections. 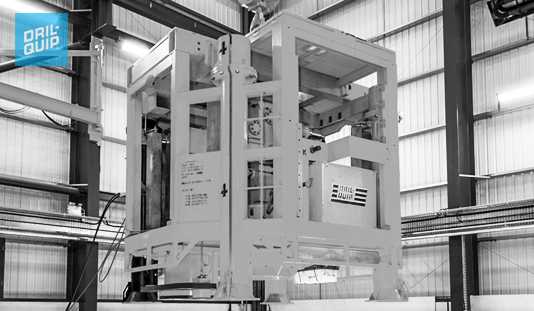 Dril-Quip designs and manufactures a complete line of production control systems. The production control systems range from simple direct hydraulic to sophisticated multiplex and fiber-optic based systems. The production control system’s open architecture flexibility and MODBUS protocol enables the Company to custom-engineer a "fit for purpose" control system that easily integrates into existing control systems or into new field development requirements. Dril-Quip offers a variety of Pipeline-End Manifolds (PLEMS), and Pipeline-End Terminations (PLETS) and flowline jumpers designed to meet or exceed industry standards and field development requirements. Dril-Quip designed PLEMS, PLETS and flowline jumpers offer easy installation, ample structural support and cathodic protection for life of field service. Dril-Quip’s Installation Workover Control System is a package of components which includes the HPU, control panel mimic, sheaves and hose reel necessary to perform all of the required functions for downhole and running tool operation. 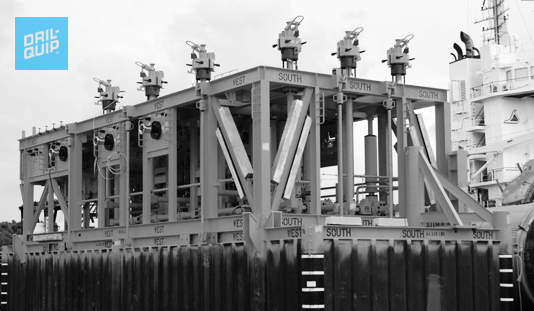 Dril-Quip’s Installation Workover Control Systems are designed to provide direct control of tools used for installation of the tubing hanger, subsea tree and tree cap. The Installation Workover Control System also maintains control of the EDP and LRP packages when applicable. Dril-Quip’s High Integrity Pressure Protection System (HIPPS) is a safety device designed to allow high-pressure wells to be tied into existing lower pressure-rated pipelines. Dril-Quip’s High Integrity Pressure Protection System Modules are self-contained units which include all necessary components such as flow line barrier valves, pressure sensor transmitters and controls. Dril-Quip’s HIPPS modules can be programmed to close if predetermined set points are exceeded and are designed to be run autonomously from the MCS on the production platform.